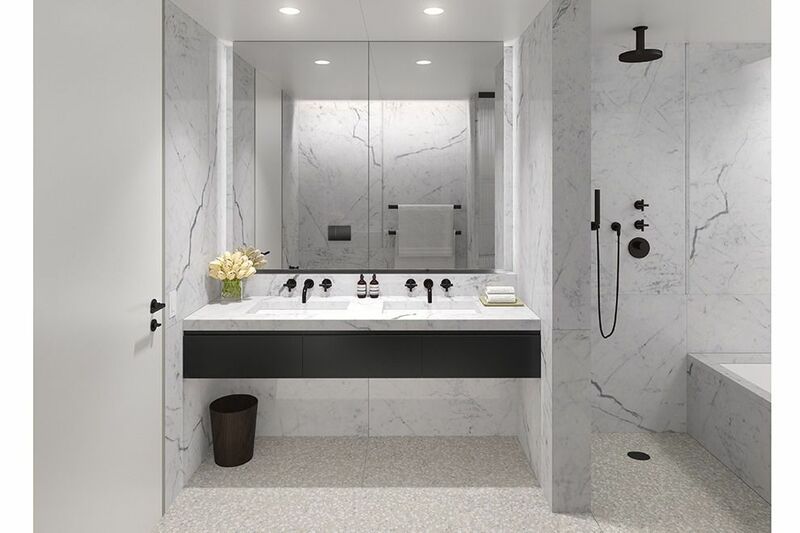 British architect Sir Chipperfield’s, The Bryant is the first residential building ever built in Bryant Park and is currently on the market. Residences begin on the 16th floor, offering full ceiling heights that carry through the living space, kitchen, and hallway. This building was developed by HFZ Capital, known as one of the most creative development firms in all of Manhattan. The Bryant offers magnificent views of the Empire State Building, Bryant Park, and Lower Manhattan. The building itself is situated high above a boutique hotel in the heart of the city, which is a location nobody can pass up. Aside from the spectacular views and location, the Bryant offers incredible amenities. Located on the 6th floor is a Club Living Room lounge, which includes conference and dining rooms, a full bar, and a magnificent terrace overlooking the park. A state-of the -art fitness center with steam room, sauna, and showers are available to all residences. In-residence dining and catering, as well as an in-building restaurant are also available for residences to enjoy at any time. A current listing is located on the 30th floor, residence 30B for $6,715,000. It is 2,068 feet and includes 3 bedrooms, 3 baths and breathtaking views from the N/S/W.